It’s that time of year again where all of us are suffering from cabin fever. It’s cold outside and we are inclined to stay indoors, but the end result is boredom and isolation. Most of us wait until the first spring-like day to finally get outside and stretch our legs. However, you don’t have to wait that long! If you don’t mind bundling-up with a couple extra layers, there are plenty of opportunities to get outside during winter and enjoy Long Island’s beaches! Go on a seal walk or seal cruise. 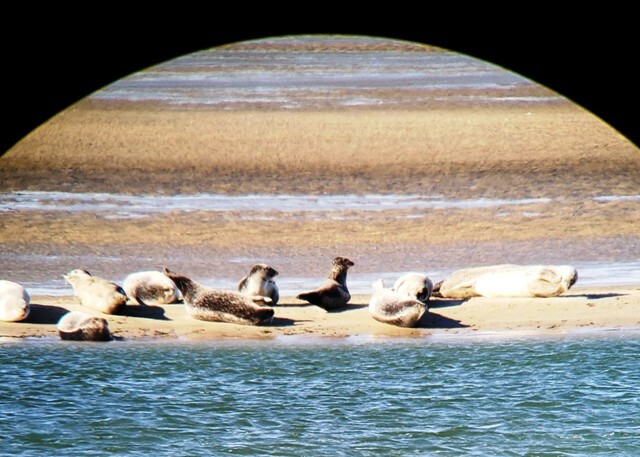 Learn about the different species of seals that inhabit Long Island and observe them in their natural habitat. Group for the East End and the Atlantic Marine Conservation Society offer seal cruises throughout the winter. The Coastal Research and Education Society of Long Island conducts seal walks throughout the winter. These educational tours will also inform you on how you can help conserve the marine environment. Grab a pair of binoculars and head to the beach to bird watch. There are many unique and beautiful feathered friends to observe throughout the winter – common loons, great egrets, marsh hawks, long-tailed ducks, snowy owls & so much more! Download the Audubon app on your phone to help you identify the birds you see. Watch a winter sunrise or sunset. Winter sunrises and sunsets are more spectacular than those in the summer. In the summer, there is more dust and pollution particles in the air, making it more hazy. The clear and crisp winter air offers up more vibrant colors. Take along a camera or even your smartphone, and practice your landscape photography. Visit the Fire Island Lighthouse. Climb the tour and check out a 360-degree panorama of winter beach scenery. If it’s particularly cold, the Great South Bay will freeze up and create stunning visuals. Don’t wait for the warm weather - cure your cabin fever and fight off those winter blues by bundling up and getting outside! You’ll be amazed by how refreshed you’ll feel.